The CyFlow Ploidy Analyser is a compact flow cytometer for ploidy analysis, high-resolution DNA and genome size analysis for plants, animals and micro-organisms. 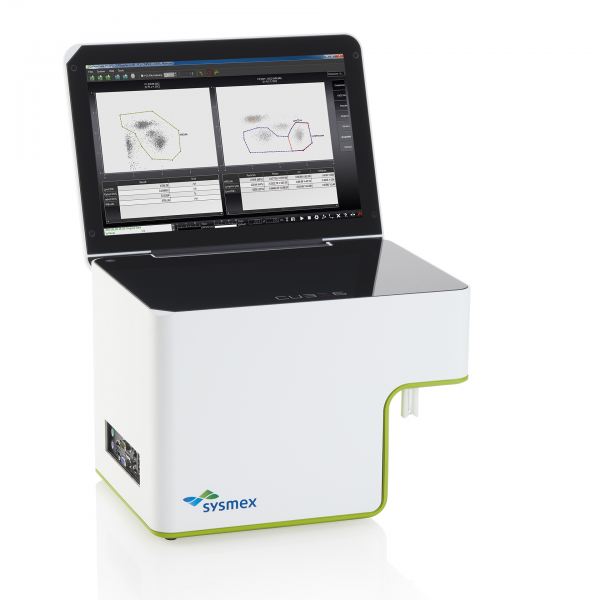 This modular system is equipped with a UV LED (365 nm) and/or a green laser (532 nm) which, when used in combination with Partec CyStain reagents, provides high-resolution DNA analysis with DAPI or propidium iodide. The CyFlow Ploidy instrument measures the DNA content of many thousands of individual nuclei within seconds or minutes. The result is directly displayed as a DNA histogram on the internal 15.4" colour display. This method is time- and cost-saving as it provides precise results quickly with an efficient and validated workflow. For higher throughput, it is possible to equip the system with an Autoloading Station that accepts up to two 96-well plates or 120 test tubes as a single load.